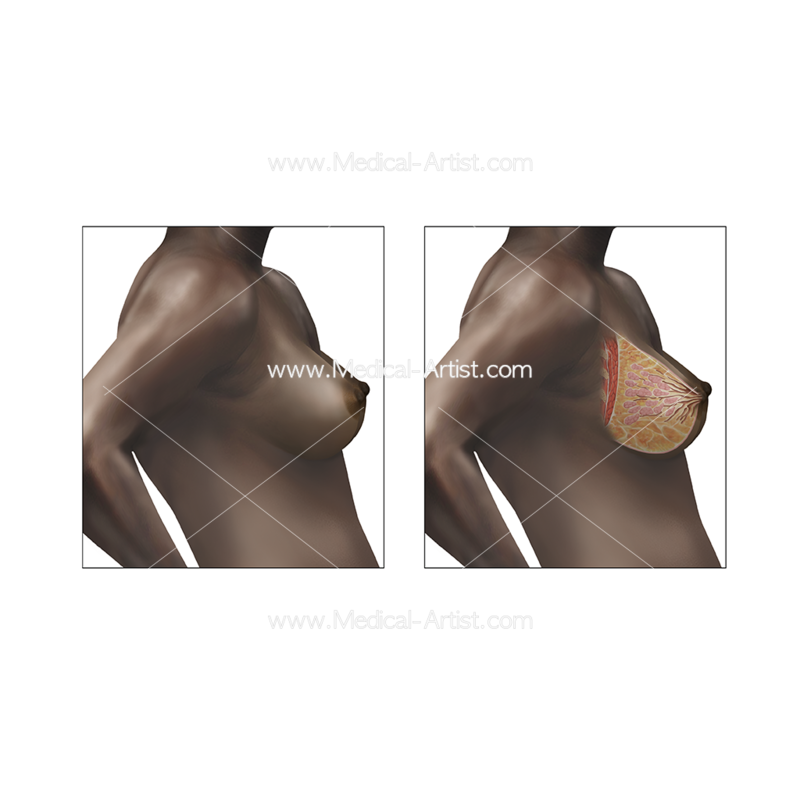 Medical illustrations of breastfeeding have been created for clients for use within health education and they are being used by Birth Centres, Lactation Consultants, Childbirth Educators, Physiotherapists, Obstetricians, Healthcare Workers, Birth Doulas, and Midwives, Websites on Health Education. These types of illustrations can be used along side photographs and text because they help to provide a visual story in such an immediate and easy way. 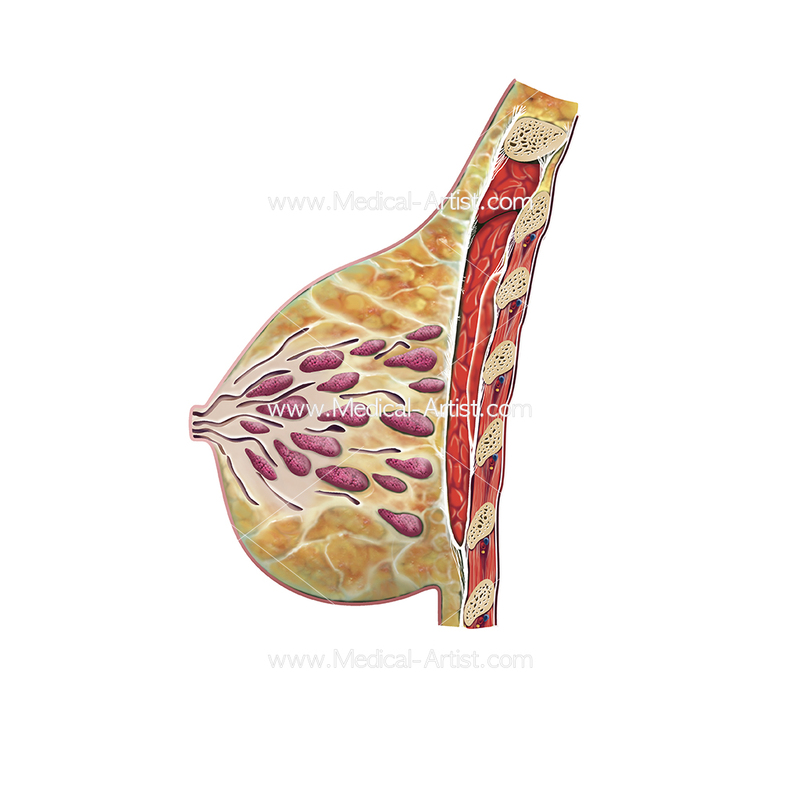 Its long been recognised that medical illustrations that accompany written text is an excellent way for any expectant mother or a mother with a newborn to understand breastfeeding and the anatomy involved. Breastfeeding is encouraged by healthcare professionals as the best way to feed a baby, as the breast milk contains antibodies that help an infant fight off viruses and bacteria and because it lowers an infant’s risk of having asthma or allergies. For these reasons as well as helping the mother to bond with their baby is why health workers are so keen to gain the mothers trust and this is done through education of the advantages of breastfeeding. The medical images go a long way to helping in this education. Healthcare workers use medical illustrations like the ones we are showing in our galleries to help teach new parents of the advantages of breastfeeding, as an instructional tool and to demonstrate the anatomy of the process. Our illustrations of the breastfeeding positions have also been popular to help the new mother get to grips with feeing their infant and the various holding positions. Being able to refer to a helpful visual goes a long way with being able to follow the health-workers instructions. New mothers can be tired so any form of helping tool from a diagram to an illustration will always be helpful. 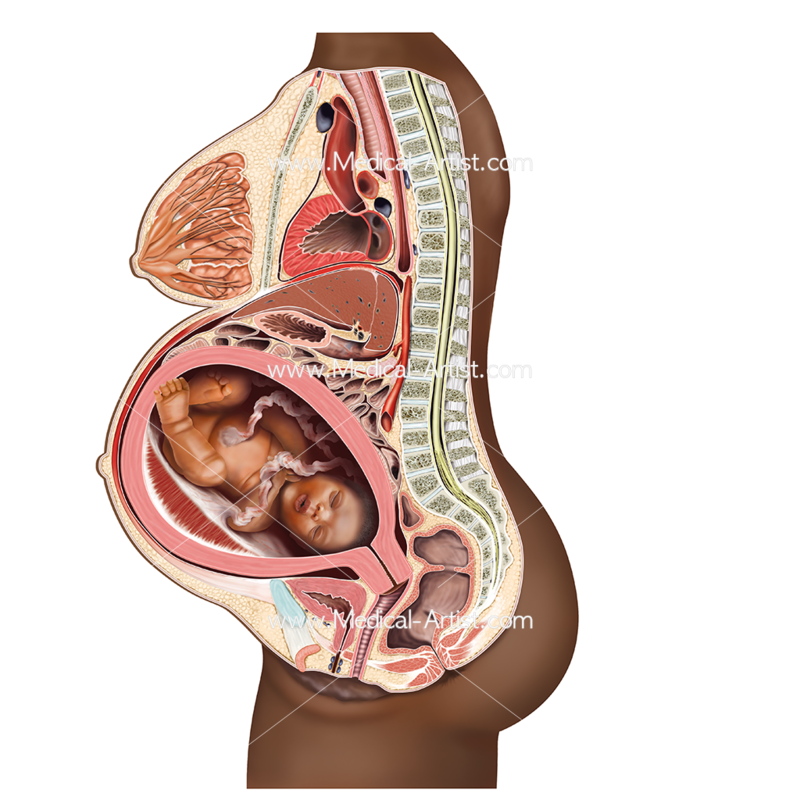 There are more examples of Joanna’s work regarding illustrations of pregnancy and birth then also examples of previous clients who have used Joanna’s work for the health and educational marketing for a pregnancy app and also of pregnancy anatomical charts. Breastfeeding, or nursing, is a mothers way of feeding their babies and young children and providing all the nutrition they need through milk from the breast. During the first few weeks of life babies will fall into a pattern but roughly they will feed at least 8 times a day and the duration of a feeding is usually ten to fifteen minutes on each breast which satisfies their hunger and thirst at the same time. 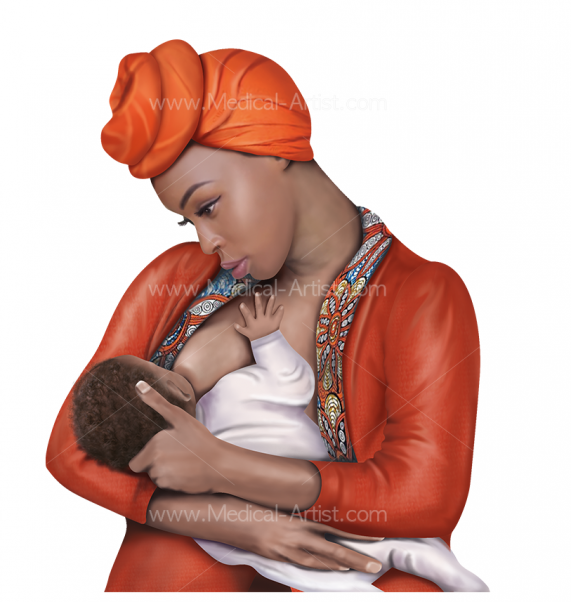 The benefits of breastfeeding as encouraged by health workers are that it helps form a bond between the mother and their infant plus there are some key health benefits for the mother. These include the production of prolactin which produces a peaceful, nurturing sensation that allows the mother to relax and focus on their child. Breastfeeding also delays the return of menstruation and fertility, a phenomenon known as lactational amenorrhea. Other hormones are released such as oxytocin which promotes a strong sense of love and attachment between the mother and infant. There are also hormones that cause the ducts and glandular tissue or alveoli to grow and increase in size and allow the breasts to start to make the first milk. The complex physiology of breastfeeding includes a delicate balance of these hormones and they are called oestrogen, progesterone, prolactin and oxytocin. The milk is produced by the time a mother is in her second trimester. 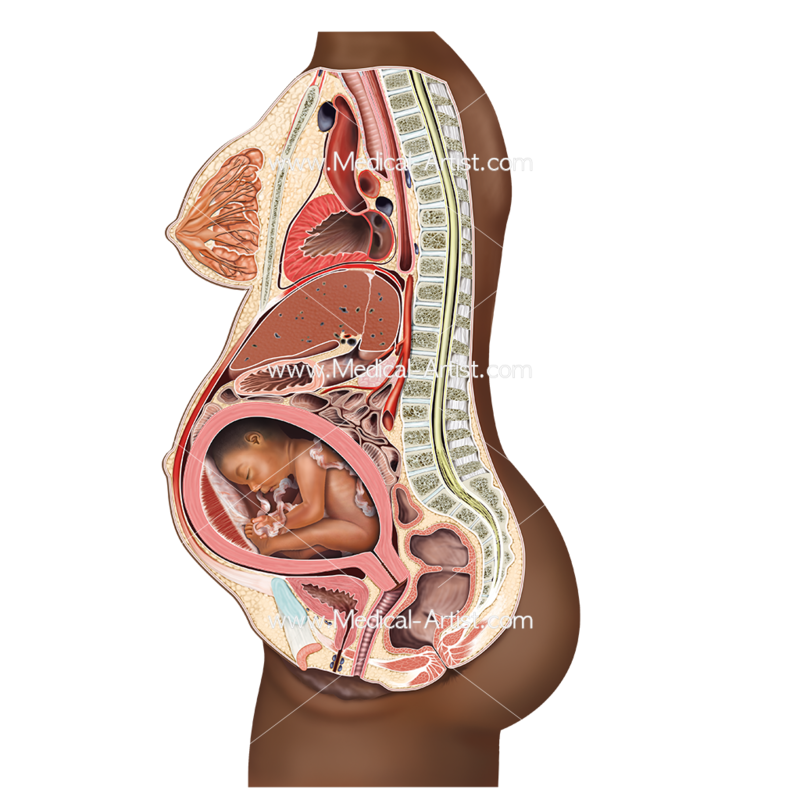 Need breastfeeding or foetal development pregnancy medical illustrations, medical art or visualisations?